Leave the frozen margaritas and frosty beers for the summer, these seasonal, steamy adult beverages are perfect when it’s cold outside. We’ve shared our recipe for Spiced Ambrosia Cider in the past, but this option follows a more traditional mulling recipe and makes a great base for a variety of cocktails. Once the seeds are toasted and fragrant, transfer to a pot or slow cooker. For the best flavour results, make this in a slow cooker (and keep warm) for 5 – 8 hours. If you’re in a hurry, bring the ingredients to a boil and reduce to the lowest setting for as long as you can. The longer it simmers, the more the mulling flavours will marry in. 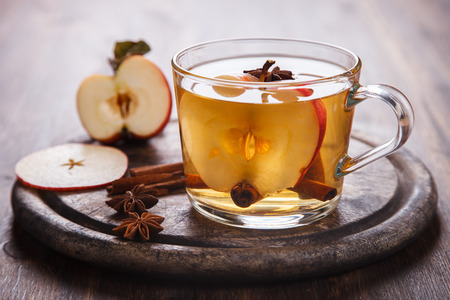 This Mulled Ambrosia Apple Cider is delicious on its own, strained and served in a mug. But, if you’re looking for something with a little more kick, here are a 5 steamy cocktail recipes featuring Mulled Ambrosia Apple Cider. We hope you enjoy these recipes and please drink responsibly. Cheers!